30 years of specializing in Lake Ontario and Lake Oneida charter trips. 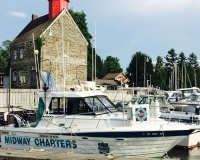 Captain James W. Fetterhoff Sr.
Offers trout and salmon fishing charters on Lake Ontario. Fishing New York's Salmon River and other Lake Ontario tributaries for 25 years. Specializes in salmon, trout, and muskee fishing on New York's Salmon River and other local tributaries. Offers trips on the Salmon River, Black River and in other tributaries and estuaries. 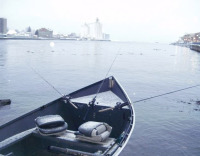 Specializes in fly fishing and float fishing on the tributaries of Lake Ontario.